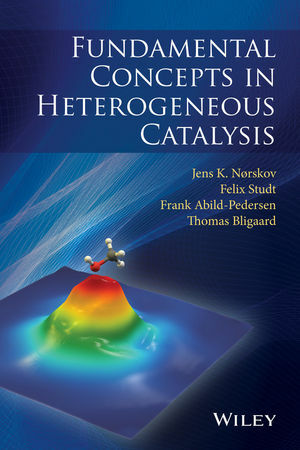 This book is based on a graduate course and suitable as a primer for any newcomer to the field, this book is a detailed introduction to the experimental and computational methods that are used to study how solid surfaces act as catalysts. Jens K. Nørskov, PhD, is the Leland T. Edwards Professor of Engineering at Stanford University. He is the founding director of the SUNCAT Center for Interface Science and Catalysis at Stanford University and SLAC National Accelerator Laboratory. He has pioneered the development of a set of concepts allowing a molecular level understanding of surface chemical processes and heterogeneous catalysis. Felix Studt, PhD, is a Staff Scientist at the SLAC National Accelerator Laboratory. His SUNCAT research group focuses on understanding catalytic processes for efficient energy conversion and using this as a basis for design of new catalysts. Frank Abild-Pedersen, PhD, is a Staff Scientist at the SUNCAT Center at SLAC National Accelerator Laboratory where his group focuses on the development of theoretical models of molecule surface interactions and models describing ultrafast surface processes measured in x-ray free electron lasers. Thomas Bligaard, PhD, is a Senior Staff Scientist at at SLAC National Accelerator Laboratory and the deputy director for theory at the SUNCAT Center. His research group focuses on the development of electronic structure methods, kinetics tools, and data mining in catalysis.